4 Weeks Ago (3:12 AM). 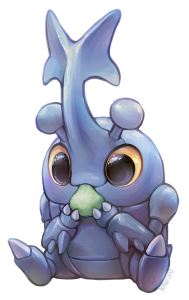 Both Heracross and Pinsir are based off beetles and have been considered counterparts in later generations due to their origins, being single stage (as to opposed to Scyther who was originally Pinsir's counterpart but now evolves), bug typing, and mega stone game exclusivity in X and Y. So which beetle pokemon do you prefer, the Hercules and Japanese Rhinoceros beetle inspired Heracross, or the ferocious stag beetle themed Pinsir? 4 Weeks Ago (3:59 PM). I like Heracross! 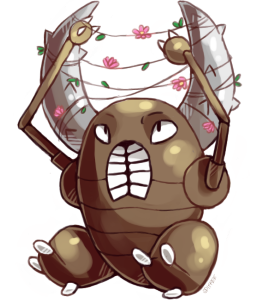 Pinsir's design is a bit too intimidating for me? Not in a fierce or cool way, I just don't find it that appealing. 4 Weeks Ago (4:44 PM). Hera-hera-Heracross! Big and shiny, it's the bug boss! Love it, need it, Heracross! 4 Weeks Ago (5:14 PM). I always preferred Heracross! Better design, better in battle, and just. Better overall. 4 Weeks Ago (5:58 PM). Edited 4 Weeks Ago by EC. Yeah, this is looking like it will be a landslide in the direction of Heracross, and rightly so. Definitely Heracross—it's kind of cute, with that innocent expression, while Pinsir gives me the creeps! 3 Weeks Ago (9:49 AM). Heracross, not even a contest lol. 6 Days Ago (6:35 PM).